HBO released a poster for the sixth season of the award winning series “Game of Thrones”. And the poster shows quite a surprise, for all the not-book-readers of course. 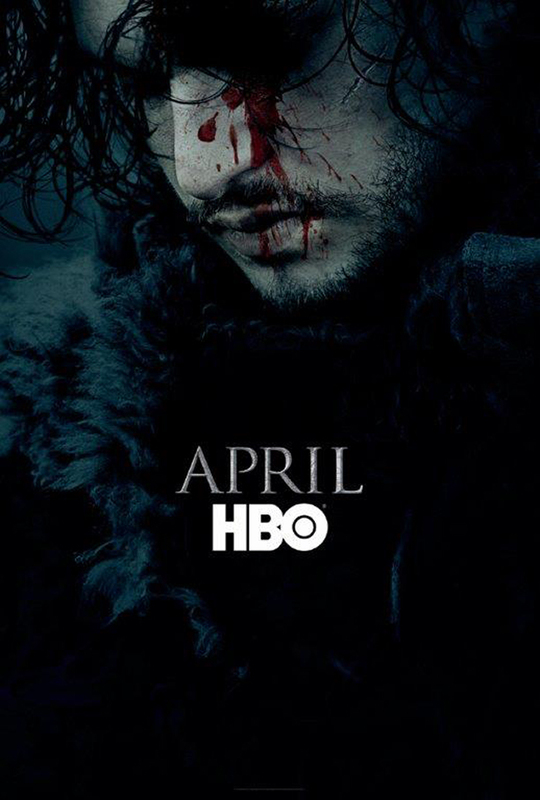 You can see Jon Snow in what seems to be his armor of the “Nights Watch” with blood on his face. That creates a lot of room for speculations, for the not-book-readers at least. Well, the book-readers could actually leave now.